Searching and editing items are enabled to help you find things faster than ever. Just type a word in the search tool and you will receive the result in a quick glance. 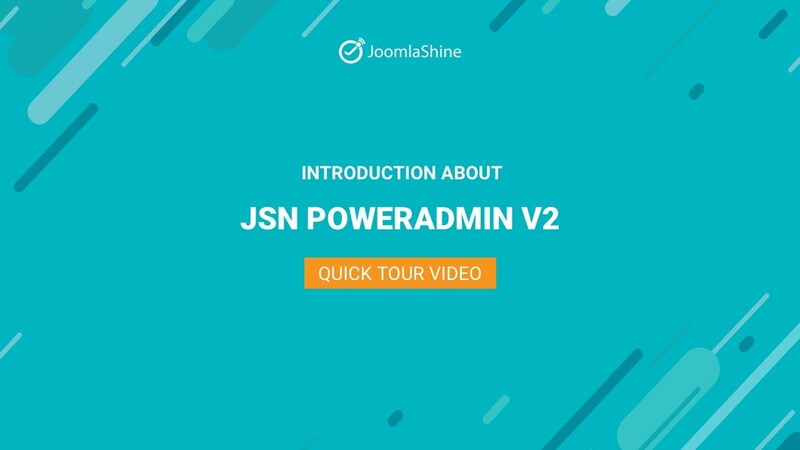 JSN PowerAdmin 2 provides a quick access to the Template Styles manager, which allows you to see all existing template styles and edit them right away. This feature is meant to control all website content in one place. You can easily edit details, reorder items and handle other changes to sites with simple drag-n-drop actions. The extension can display all the module position in the default template layout, which means you can easily locate each position and organize website modules visually. JoomlaShine Team offers you immediate supports with great care to ensure you are enjoying the good experience.